According to insurance carriers – they anticipate a double digit aka 34% increase In rates next year. hence WHY would they want this law repealed? They now have 7 million more people forced to buy a their product – and YET they need such an increase. Simple numbers 7,000,000 x $400 month average that’s $2.8 Billion a month – every month! Wish they would force people to purchase our products.. I did know. We had recently discussed performance metrics during morning rounds, and were taught that prolonged urinary catheterization caused many hospital-acquired infections. Hospitals were now being penalized for that sort of thing. Several months before, I had attended a conference where there was a heated discussion about whether to tie reimbursements to how well physicians managed hemoglobin A1c levels – a marker of blood sugar control in diabetic patients. Some argued doctors would pay closer attention to diabetes control. Others thought they would simply select healthier, more compliant patients to make their jobs easier. Suddenly, a stately gentleman stood up and the room fell silent. I recognized him as one of the most distinguished faculty members at my medical school, a legend that physicians across the state consulted on their most difficult cases. “What on earth are we teaching these young doctors?” he asked, exasperated. He stressed that a physician’s responsibilities — to avidly manage diabetes or blood pressure, to promptly remove a urinary catheter, to ensure patient compliance with medications — come not from incentives, but from a sacred duty we assume upon entering the profession. Overemphasizing the former while underemphasizing the latter, he argued, does a disservice to the medical profession and to our patients. His words struck me because they were so at odds with the language of recent discussions I’d had on quality improvement. I’ve been taught that behavioral economics tells us much about how individuals consciously or subconsciously respond to incentives. If we are able to align incentives to promote safer, higher quality care, then that’s what we’ll get. But so far, evidence on pay-for-performance incentives has been mixed at best. While incentives can help change simple behaviors and improve productivity of rote tasks, they may actually reduce creativity and dull motivation for the complex tasks and broad thinking required in medicine. Furthermore, incentivizing certain behaviors can sap time and attention away from those not measured. And many aspects of medical care that are evaluated by quality and efficiency metrics — like reducing waits in emergency rooms or shortening hospital stays — are outside an individual doctor’s control. A recent report by the Robert Wood Johnson Foundation recognizes these limitations, and argues that instead we need to capitalize on the inherent motivation of physicians and support underlying drivers of excellent care like professional purpose, mastery and autonomy. It advocates removing large perverse incentives that can inhibit good decision-making and value-based care – like fee-for-service payment models – but not devising elegant schemes to manufacture desired behaviors. Today’s physicians are trained in an environment in which discussions of costs and incentives are as much a part of our education as conversations about duty and humanism. It’s an environment in which words like “provider” and “consumer” are used as frequently as “healer” and “patient.” In the midst of this evolution, we must frequently examine the effect of these changes on the medical profession, as well as the kind of education and narrative needed to reinforce physicians’ internal sense of purpose and pride in their work. He told me the story of the “midnight neurologist” from his first month of residency, more than 30 years ago. He had been in the hospital for almost two straight days and was just settling into a nap shortly after midnight when the neurology fellow paged him to check on a comatose patient he had admitted several days before. Cursing his pager, he opened his bloodshot eyes and trudged down to the patient’s room, exhausted. When he arrived, he noticed the neurologist slowly lift the patient’s hospital gown just above his left knee, exposing as little of the leg as possible. He tapped gently with the reflex hammer and carefully noted any changes from the day before. He then replaced the gown over the left knee, and repeated the procedure on the right. My mentor told me he often still thinks of that moment. It was the middle of the night and this neurologist – like him – had been on call for more than 30 hours. They both knew the patient would likely never regain consciousness, and no one was keeping tabs on anything. Yet the neurologist respectfully, tenderly, meticulously completed his familiar routine, as he would on a cherished loved one. As a student of health policy, I believe that incentives will be a powerful tool for changing physician, hospital and patient behavior – especially given the many perverse incentives that currently exist in our system. But as a student of medicine, I believe this focus on incentives must be coupled with an equally robust discussion of the historic and modern duties of a healer. We must promote a culture among students, residents and policymakers that recognizes that incentives – aligned, misaligned, askance or otherwise – are secondary to a physician’s duty to fervently protect the health of patients. These two dialogues have largely operated in parallel, but it’s time we integrate them and acknowledge their mutually reinforcing potential for delivering better care. Because alone, no arsenal of carrots and sticks will ever produce the kind of compassion and attention to detail every patient wants and deserves. Aron Alexis Tragedy – preventable? The senseless killing of so many people always makes us wonder if we could have prevented this or WHY did this happen. What we forget as a people is that “bad things happen for no reason” – that’s life. Not everything has a reason or someone to blame. Not everything can be prevented. Could we really have prevented this shooting? Its not possible to put all the pieces together all the time. He showed NO signs of such behavior. Watch the movie “Minority Report” Thought crimes – we MAY commit a crime so we have to be imprisoned. Far fetched? Hmmmmm – lets see what happens……..
[preamble]A state senator’s husband has an exclusive deal to sell millions of dollars of real estate for the USPS service. The audacity and perversity of these people is beyond even what I can imagine. If this was any of us, we would have been in jail. The rules seem to not apply to anyone anymore. Simply stating “there was nothing sinister about this deal” is a blatant lie and does not preclude the fact that a states senators husband was given exclusive preferential treatment, At the least for decency, they should have declined the deal. You have to respect just the blatant disregard for anything decent exhibited by Dianne Feinstein. Her in-your-face entitlement is breathtaking and yet at times oddly amusing. For instance check out this little gem from last year when she’s asked why she wouldn’t debate her Republican challenger for the US Senate. Oh my, I could watch that a couple more times. Anyhoo…Now comes word that Ms. Feinstein’s husband’s real estate company is doing all the sales of decommissioned post offices around the country. The USPS used to use multiple brokers, but not anymore. The senator’s husband must be really good. And doubly advantageous for the US taxpayer also is that such a good broker would be married to someone who regularly votes on postal issues. I mean, what are the chances! We the American tax payers really lucked out on this one. The US Postal Service is selling hundreds of properties in prime locations across the country to help them deal with their financial difficulties. In the past, the USPS has used multiple real estate agents to sell their properties, but in 2011 the USPS signed a contract with CBRE Group to be the sole provider of real estate services, nation-wide, for their sales. The Chairman of CBRE Group is Richard Blum, the husband of California Senator Dianne Feinstein. Mr Ben keeps printing money. Obama’s redistribution of wealth is not working – socialism has failed all over the world – why would we think it will work here? The seeds of failure are planted, the dead fruits of the vine are not growing. The leaves of the economy and the fabric of America is suffering and growing brown. Hopefully we will not shrivel up and fall off as the leaves of dead flowers. After weeks of vociferous objections by faculty members, Pennsylvania State University said on Wednesday it was suspending part of a new employee wellness program that some professors had criticized as coercive and financially punitive. In particular, the university said it was suspending a $100 monthly noncompliance fee that was to be levied on employees who declined to fill out an online questionnaire. The form, administered by WebMD Health Services, a health management company, asked employees for intimate details about their jobs, marital situation and finances. It also asked female employees whether they planned to become pregnant over the next year. Obama administration officials, facing criticism that they are behind schedule in implementing the president’s health-care law, said Tuesday that they have finished a major piece of the technology that will help millions of Americans sign up for insurance this fall. Federal health officials said they have completed the “data hub,” a complex system that will verify people’s Social Security numbers, immigration status and other information when they log on to government Web sites to buy health plans and apply for government subsidies. The milestone is a significant victory for the administration, which is battling growing skepticism that it will be ready Oct. 1, when people are supposed to be able to start signing up for health plans under the law, commonly called Obamacare. For months, officials have faced questions about whether the computer systems, which are exceedingly complex, would be up and running in time.A government watchdog warned this month that a critical security test for the data hub had been delayed and was not scheduled to be completed until Sept. 30. But on Tuesday, officials said they managed to finish that testing on time Friday, calling it a major turning point. Officials described the data hub as a network of secure servers that route information. It will connect databases maintained by several federal agencies — including the Internal Revenue Service and the Department of Homeland Security — with other databases maintained in the states. The security testing, though not as late as feared, nevertheless comes during crunch time for the health-care law, key provisions of which kick in over the next six months. Starting next year, virtually every American will have to carry health insurance or face a fine; those who lack coverage will have from Oct. 1 to March 31 to meet that mandate. Whether people comply will depend in part on how easy it is to sign up for an affordable plan, which is one reason why administration officials are aiming to make the process of signing up as simple as possible. The computer system must also ensure people receive only benefits to which they are entitled based on their income and other factors. If it works properly, the system will be able to fact-check parts of a person’s application in real time, verifying their Social Security number, immigration status and other factors to determine their eligibility for subsidies or for Medicaid, the state-federal health program for the poor. Critics have raised concerns about the hub, in part because so much of the work is being done at the last minute. Michael Astrue, a Republican and former head of the Social Security Administration who said he supports parts of the law, said it will be impossible for officials to work out the kinks and ensure that it is protected from fraud and hackers in the short time frame left. The hub will be the subject of a hearing Wednesday before a House homeland security subcommittee. Republicans say the hub could be vulnerable to international hackers and identity thieves, among others. But administration officials said they submitted the hub to rigorous security tests required under federal law, such as ensuring that only qualified people have access to the information it contains, that there are systems in place to monitor it for unusual activity and that there is an ability to quickly respond to problems. They would not disclose some specifics, however, for fear of revealing too much to potential attackers — including those who may be ideologically opposed to the health-care law and want to interfere with the Oct. 1 launch of the market­places. Increasingly troubling news about robotic surgery continues to emerge. This time, a study published recently in the journal Obstetrics and Gynecology finds that robotic cases cost substantially more than laparoscopic cases of hysterectomy, despite no apparent safety benefits. 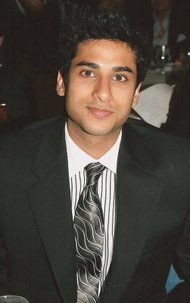 After identifying women who underwent robotic or laparoscopic surgery for benign disease in 2009 and 2010, and using propensity scores based on in-hospital complications, hospital length of stay, and hospital changes, the study authors have determined that the perioperative outcomes are similar between the two modes of surgery, but that robotic surgery costs close to $2,500 more to a hospital, per patient. “Unfortunately, the greater costs associated with robotic-assisted hysterectomy were not reflected in improvement in outcomes,” the researchers, from the University of Texas Southwestern Medical Center at Dallas, say, according to Bloomberg. According to research published last week in the Journal for Healthcare Quality, complications from robotic surgery are widely underreported. Of the roughly 1 million robotics surgeries performed since 2000, only 245 complications (including 71 deaths) were reported to the U.S. Food and Drug Administration, according to the study. In March, the American Congress of Obstetricians and Gynecologists said that robotic surgery for hysterectomies should not be a first or even second choice for women undergoing routine procedures, due, in part, to the learning curve associated with the robotic system. That same month, health officials in Massachusetts sent a letter outlining safety concerns about robotic surgery after two damaging incidents involving robots performing hysterectomies. [preamble]The inevitable push to health clinics. Malpractice costs are a leading cause as well as hospitals being headed by non business people. Doctors should not in any way shape or form run a hospital other than overseeing doctoring. Business, profitability and sustainability needs to be in the hands of people that understand it. This again proves that our hospital system is antiquated and we have too many of them. INteresting how the massive cost of insurance is NOT an issue or tort reform. The leading cause of problems in the medical system especially in NY. Our politicians especially Sheldon silver are making too much money off the lawyers to even touch this – hence we have a “crisis” to deflect from the real issue. Almost like our president shooting missiles at Syria when in Benghazi we actually lost American lives – did we do anything than? Deny, deflect, diversion – triple D.
Several Long Island hospitals have delivered their last babies. Facing precipitous drops in number of Long Island births – and insurance reimbursements – and steep climbs in malpractice-insurance rates, many hospitals are closing their maternity wards. Several ob/gyns are likewise steering away from obstetrics and focusing more on gynecology. Such consolidations are creating a new medical landscape, with larger regional health-care facilities handling most births – potentially signaling the end of deliveries at the local hospital. The North Shore-Long Island Jewish Health System plans to close Plainview Hospital’s 15-bed maternity ward, 10 years after it closed the Glen Cove Hospital maternity ward and eight after it closed the maternity unit at Valley Stream’s Franklin Hospital. In 2004, Catholic Health Services of Long Island cited high costs when it closed the maternity ward at New Island Hospital, now known as St. Joseph’s Hospital. Observers should not misconstrue this as a lack of commitment to babies or women, according to North Shore-LIJ spokesman Terry Lynam, who said the system has been expanding maternity wards at larger hospitals. Maternity wards are expensive, due primarily to the wide range of around-the-clock staff they require, and “when expenses significantly surpass revenues, folks begin to look at ways to save money,” noted Dr. Arthur Fougner, an ob/gyn in Flushing. Also challenging those bottom lines: an aging Long Island population creating lower birth rates and obstetrician malpractice rates ranging as high as $200,000 annually – nearly twice the rates paid by gynecologists. Meanwhile, a new generation of maternity words is putting the pressure on older wards to renovate or shut down. North Shore-LIJ has invested $300 million in its Katz Women’s Hospitals at North Shore University and the Long Island Jewish Medical Center, including new maternity wards featuring private rooms. In 2012, Manhasset’s North Shore University Hospital delivered 6,343 babies in its 73-bed unit, while Long Island Jewish delivered 5,879 – collectively, a 13 percent increase over the two facilities’ 2011 totals. Those increases contrast delivery declines at many smaller hospitals. Between 2011 and 2012, births dipped from 1,429 to 1,167 at Plainview Hospital, which is projecting only 1,000 total births in 2013. Sometimes, closing the maternity ward at one local hospital can benefit the maternity ward at another. North Shore-LIJ hoped closing the New Island/St. Joseph’s ward would benefit the Plainview ward, for instance, but that didn’t materialize. And upgrading older maternity wards to keep up with newer models is not always easy and rarely practical, Lynam noted. “Even if we invested millions of dollars to renovate [the Plainview maternity ward], we still wouldn’t be able to configure the space in a way that would provide families with private rooms,” he said. Long Island still has plenty of maternity wards: North Shore-LIJ alone operates additional delivery facilities at Huntington and Southside hospitals, Forest Hills Hospital in Queens and Lenox Hill Hospital in Manhattan. With so many regional options, North Shore-LIJ officials believe the Island’s expectant families are still well-served. “Is it unreasonable for people to drive 15 or 20 minutes to deliver their babies?” Lynam asked. The answer, according to Fougner, “depends on how fast your labor’s going. “Mr. de Blasio and Ms. Quinn have also suggested that city taxpayers might ultimately have to spend money on the hospitals. Seems out pockets are never ending. Often it is the hospital medical staff, protecting its long-established patient relationships, its billing and perks like teaching, that fights the hardest to keep the facilities independent. Two cases in point are Wyckoff Heights Medical Center in Bushwick, Brooklyn, which has refused a state commission’s recommendation to merge with two other hospitals, and LICH, where the doctors are making a bid to take over the hospital after an ill-fated merger with SUNY Downstate Medical Center. Perhaps these doctors and institutions should “pay” for their failings on their own. When money is ALWAYS available and there is no accountability we have chaos – look how Europe has failed with its citizens demanding unsustainable policies…. I never thought America would follow such failings. Despite the discourse, it is the state that regulates hospitals and gives the grants and loans needed to keep them from failing. And Gov. Andrew M. Cuomo is not throwing the hospitals a lifeline. That the candidates are even talking about hospitals is, if nothing else, a testament to their vital role in the city’s ecosystem. More than just health care facilities, they are neighborhood institutions where local doctors take care of people they know from birth to death, where politicians can be heroes by providing taxpayer support and patronage, and where unions can count on employment for workers at various levels of schooling. Hospitals in poor areas have been struggling for years; since 1990, 52 hospitals in New York State, half of them in the city, have closed or been converted into another type of medical center. In that time, the state has tried to keep remaining hospitals alive by authorizing hundreds of millions of dollars in bond sales or direct subsidies. But the Cuomo administration believes that New York State, especially in Brooklyn, still has more hospital beds than it needs and that some of the weakest facilities might have to shut down or be significantly reshaped. Brooklyn hospitals have a vacancy rate of almost 30 percent and, with more efficiency, could cut more than 1,200 beds — the equivalent of three or four community hospitals, according to a recent state report. A large portion of Brooklyn’s more affluent population goes to the more prestigious academic medical centers in Manhattan for care, further weakening the system. About 25 percent of health care spending for Brooklyn residents is on Manhattan doctors and hospitals, according to the state. Generally, the Brooklyn hospitals that are in financial straits disproportionately serve patients with Medicaid, which pays less than private insurers, and the uninsured. Kenneth E. Raske, president of the Greater New York Hospital Association, called Brooklyn hospitals “the poster child for the problems affecting safety net hospitals throughout the entire country,” and said the federal government should step in. State health officials acknowledged that hospitals have become one-stop shopping centers for health care in poor neighborhoods, a pattern that is hard to break. However, Mr. Helgerson added, the state does not favor the way those hospitals are operated today, each with a heavy emphasis on inpatient care that requires a costly staff and upkeep. In an effort to turn more money over to primary care — in part because the Affordable Care Act is expected to create a demand for it, as an estimated one million state residents gain coverage — health officials talk about turning some hospitals into what they call medical villages. Some of those villages, which might include some combination of emergency care, primary care and other services, but not the full array they now provide, would have to send patients to another hospital when they needed to be admitted. In the crisis of the moment, Long Island College Hospital, also known as LICH, in Cobble Hill and Interfaith Medical Center in Bedford-Stuyvesant are losing money and on the verge of closing. The state has propped up those and other Brooklyn hospitals for decades through loans and grants, but in the current fiscal climate shows little inclination to continue doing so. Some of the hospitals have resisted consolidation, in part because their governing boards and doctors have a vested interest in keeping them as they are. The doctors and other hospital employees, with hundreds of jobs at stake, have taken a lead in going to court to stop LICH from closing. Mr. de Blasio, the candidate for mayor who has been the most vocal about protecting the hospitals, has been endorsed by both 1199 S.E.I.U. United Healthcare Workers East, the hospital workers’ union, and another union, the New York State Nurses Association. George Gresham, president of 1199, said that whether the state continued to invest in hospitals would reflect its social and political priorities. “This is an indication of the health care disparity that unfortunately exists on the national level and in New York, particularly with communities of color,” he said. Mr. de Blasio and other mayoral candidates have called on the federal government to approve the state’s application for a $10 billion “Medicaid waiver” to redirect some money toward new ways of delivering health care. But while the candidates have suggested that the waiver could save the struggling hospitals, the Cuomo administration intends to use some of the money, $3.7 billion, to restructure hospital care in the state, particularly Brooklyn, through mergers, consolidations, expanding primary care and other changes. Mr. Helgerson, the state Medicaid chief, noted a 2009 Commonwealth Fund study that ranked New York the second-worst state in the country, after Louisiana, in avoidable hospitalizations. “What we are asking for from the federal government is these dollars to be able to make those targeted investments, not money just to keep the same system afloat,” Mr. Helgerson said. The Cuomo administration has also proposed inviting private capital to invest in the state’s nonprofit hospital system, a plan that has been rebuffed by legislators worried that it would lead to large for-profit corporations taking ownership of hospitals, which all states except New York allow. Finally, it has proposed creating a public benefit corporation, with members appointed by the administration, that would become the parent organization for struggling Brooklyn hospitals, with sweeping authority to change their governance and how they deliver care. But the Legislature did not approve the proposal in the last session. Mr. de Blasio, Ms. Quinn and Mr. Thompson have called for some sort of regional planning entity. Mr. de Blasio and Ms. Quinn have also suggested that city taxpayers might ultimately have to spend money on the hospitals.